What Happens to Your Estate at Death? At a person’s demise, his or her assets are subject to a number of expenses that can significantly reduce the size of the estate left for the heirs. 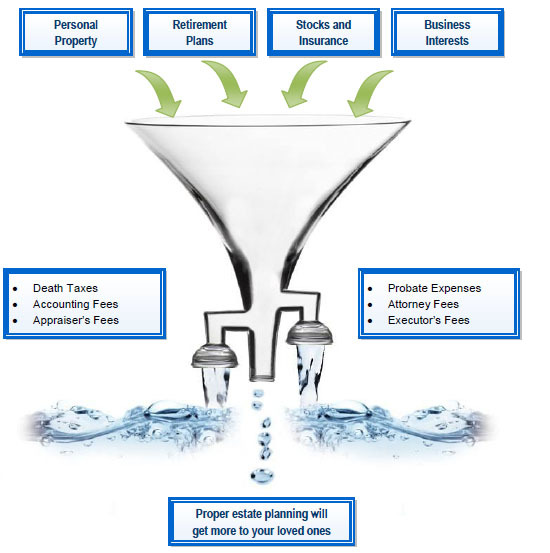 Proper estate planning can minimize these expenses and determine in advance how the costs that remain will be paid.